The 10 Best Delis in Washington State! There’s nothing quite like a perfectly-made sandwich. Great quality ingredients artfully assembled into a wonderful masterpiece is a truly scrumptious thing. It sometimes seems like a rare delight these days, but great delicatessen sandwiches can be found en masse here in the Northwest. Here are the top 10 delis in Washington State! Ahh... just smell that sweet, sweet cheesesteak grilling up! Tat’s Deli in Seattle is known for their delicious hoagies and awesome Reuben sandwiches. The pastrami sandwich with tomato bacon soup sounds heavenly. Come and eat your way to happiness here at Tat’s Deli. This lunch bonanza is sure to bring you to bliss! This little gem is a quick spot to grab an amazing sandwich and drink for a song. Make sure to order it with the fresh marbled rye bread that is to die for! Make sure to try the Shamus’s Famous! Corned beef, sauerkraut, Swiss cheese, and Shamus' Irish mayo/mustard sauce on thick cut marble rye. Make sure you book a multi-day trip when coming to George’s Sausage and Delicatessen in Seattle. This Polish styled deli smokes all of their own meat for that perfect zing to your sandwich. Everything is house made, the soups, the sandwiches AND desserts! This is a to-go establishment, but be careful, you just might want to try and stay here forever! Offering a profound assortment of meats breads cheeses, a varied menu of wines and beers from around the world. As well as a wonderful assortment of soups, salads and of course sandwiches, Old World Deli in Bellingham is a fan favorite! Try the mouth-watering grilled raclette cheese with chicken sourdough panini. Amazing food + amazing service = amazing experience, every time! Old World Deli is the place to be! This wonderful neighborhood grocery shop is a delicious hidden gem. This is one of the only places to get some real German Sausage. You name it, if it’s German, they have it! Bratwurst, currywurst, weisswurst, they’re all here! Step into Germany without the jet lag, Hans’s German Sausage and Deli in Burien is as far as you need to go to get amazing German meats and goods! Since 1968, Hess Bakery and Deli has been bringing together the finest ingredients to create that perfect sandwich. Specializing in German baked goods and meats, you can be sure to enjoy amazing sandwiches. This little shop has a character all of its own, and you will be sure to appreciate all that Hess Bakery has to offer. Definitely worth the drive! According to many customers, these sandwiches are so good, you’ll think about them for days afterward! Pickles Deli in Clinton serves up some plate licking sandwiches and a delicious assortment of other goodies inspired from all around the world. Try the Vietnamese bone broth soup or the Mediterranean grill stromboli for starters! This place has it all! If you’re hankering for anything like the New York deli experience but you’re out here on the west coast, you should give Goldberg’s Famous Deli in Bellevue a bite. With its family-friendly atmosphere, Goldberg’s serves up all the classic offerings of the east coast! Who knew there could be so many ways to make sandwiches! Brooklyn Deli in Spokane hits the spot for all your sandwich needs! We recommend either the Reuben or the Philly cheesesteak for starters. Homemade breads, soups and salads combined with their awesome sandwich menu to make Brooklyn Deli well worth the visit! To many sandwich goers, MSM Deli is the hands down go to local deli. 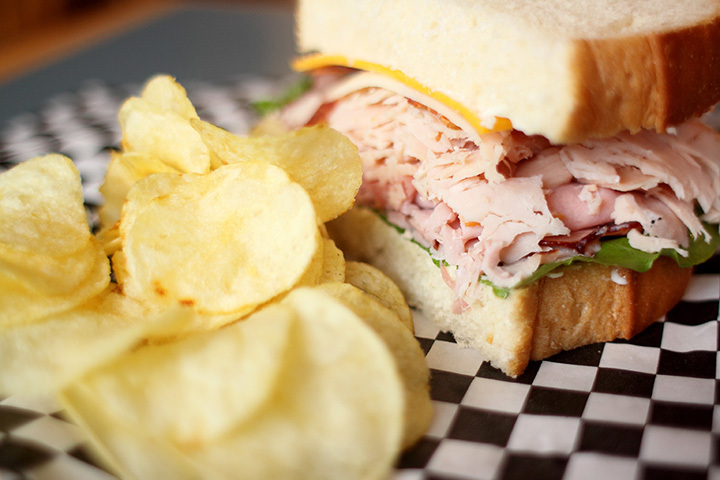 With great sandwiches, beer on tap and offering more than a handful of other goodies, MSM deli in Tacoma will leave all of your sandwich dreams come true!